Snow remains on most of the high mountain peaks in Northern California even though it's nearly June. Yesterday, DJ, Tom, Wayne, Lexie and I took the 55 mile ride east on California Highway 44 from Redding into Lassen Volcanic National Park. This area is where the granites of the Sierra Nevada, the volcanoes of the Cascade Range and the lava flows from the Great Basin meet to form a magnificent and scenic terrain. Some history of Lassen Volcano: This is the southernmost active volcano in the Cascade Mountain Range. On May 22, 1915, an explosive eruption at Lassen Peak devastated nearby areas and rained volcanic ash as far away as 200 miles to the east. 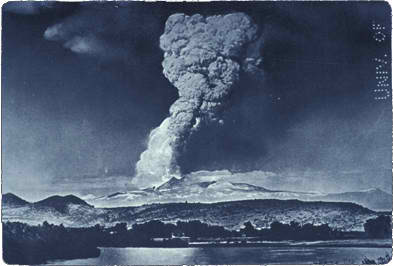 This explosion was the most powerful in a 1914-17 series of eruptions that were the last to occur in the Cascades before the 1980 eruption of Mt. St. Helens. Lassen Peak is the largest of a group of more than 30 volcanic domes erupted over the past 300,000 years in Lassen Volcanic National Park. While the weather was lousy down in Redding, the temperatures were mild (68 degrees); on the flip side, the relatively high 5000 ft altitude on the mountain held fresh snow and 38-44 degree temperatures. The roadways inside Lassen Volcanic National Park were closed due to the snow so we were able to travel into the park just about a mile -- far enough to see beautiful Manzanita Lake and enjoy seeing the fresh, white snow. DJ's snowman... complete with eyes and evergreen. We were finishing a sandwich lunch. We keep a "picture taking" joke going all the time. DJ is a devoted photographer. Tom is a crazy man -- he always wears shorts. A really cold stream made a beautiful snow scene. No daytrip is complete without a few pictures of Lexie. We stopped at one of the vista points and I caught this shot of Lexie sniffing around wearing her hoodie.